My husband took me out for brunch at Sweetgrass Deli in Okotoks on Saturday morning. The special was BBQ Beef Bennie on a Biscuit. (For my UK readers, a biscuit in Canada is not a cookie but is similar to a scone, but with more butter, making it quite flaky). Where to begin?! 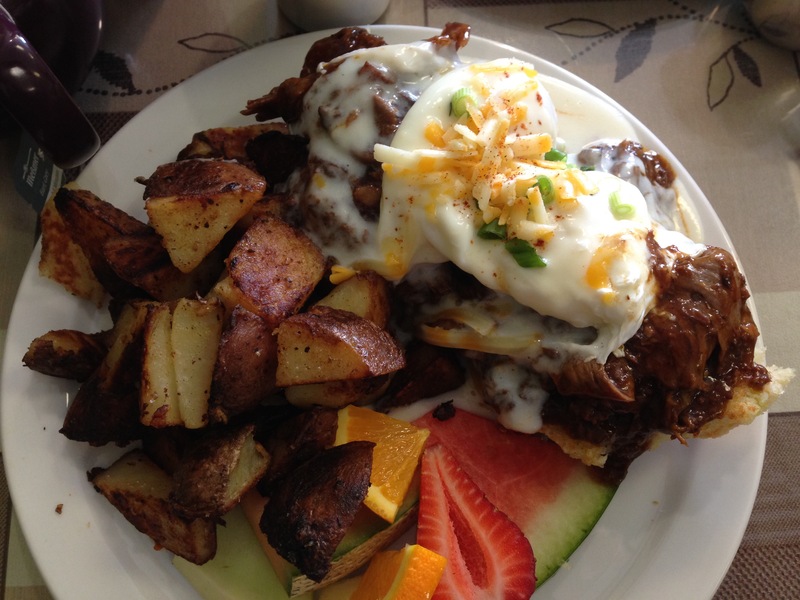 Eggs Benectict is my favourite weekend breakfast treat, and having it on top of beautiful biscuits smothered in the best BBQ beef I have ever tasted with a side of delectable fried potatoes…well, mind blown. My husband accrued quite a number of points that day. He was out of town the rest of the weekend, so my leftovers and I had a lovely evening catching up on Grey’s Anatomy.